After a brief battle with acute myeloid leukemia, Nancy Joyce Becker (nee Jinks) passed peacefully on January 27, 2016 surrounded by her family. She will be forever treasured by her children: Bryan (Lorraine) Becker, Kevin (Lily) Becker, Leanne (Tim) Pinkerton; grandchildren: Georgia Becker, Olin Becker, Findlay Brown, and Julia Brown; brothers in the USA: Charles (Elizabeth) Jinks, Claude (Ella Dee) Jinks, Kenneth (Nancy) Jinks; brother-in-law, Barry Becker; sisters-in-law: Pamela Becker, Judy Repka, Sharon (Bob) Conrad; as well as countless others including friends and other members of her extended family. 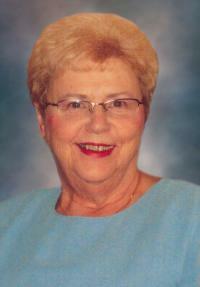 Nancy survived the death of her husband Bryan Keith Becker in December 2005. Nancy was a quick wit. She loved to laugh. She loved to cook and would put together an amazing spread whenever the family got together. She loved life. She loved people. She loved mountains, deserts, and oceans. Nancy enjoyed traveling. In her later years, she frequently traveled to Phoenix, Arizona, and Bay City, Texas. During this period she also took two cruises with close friends, an Alaskan cruise with the Jinks family, and made several trips to the island of Bonaire to be with Leanne and Tim. A Celebration of Life will be held at Foster and McGarvey Funeral Home, 10011 - 114 Street, Edmonton on Saturday, February 6, 2016, at 2:00 p.m. Followed by a reception at Tegler Terrace, 9918 149 Street N.W. At the request of Nancy, donations may be made in her memory to the Alberta Sport Connection care of Peaceful Valley Project, Telephone: (780) 415-0266.